The NYHL was privileged enough to sit down with former NHL referee Dean Warren to get his thoughts on a few questions we asked him. Dean started out officiating in the Humber Valley and Etobicoke house leagues. He gradually worked his was up through the ranks of the GTHL, OHA, OHL, IHL, AHL and eventually made it to the NHL. 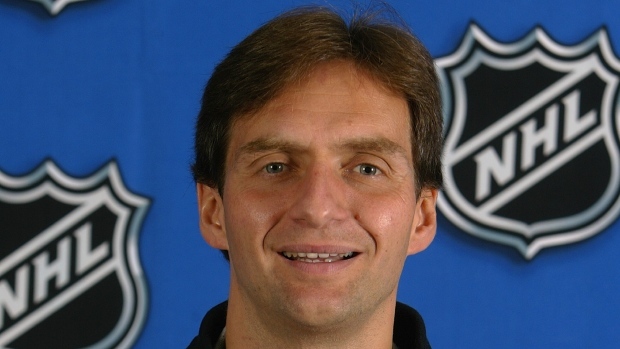 He worked as an NHL official from 1999-2008. Dean has been a proud supporter of the NYHL for years, and even when he was still an active NHL official took time to help with our officials whenever it was possible for him. Today we are both extremely proud and glad to have Dean involved with our league as a referee supervisor, instructor and overall mentor for our officials. Read his Face to Face interview with NYHL below! It was another way for me to stay involved in the game. Which minor hockey organization did you get officiating in? Humber Valley and Etobicoke house leagues and then on to the MTHL. What did you like the best about officiating minor hockey? The life skills you learn. For example, the responsibility of having a job and making sure I was on time. I also learned how to make split second decisions. I also really enjoyed the camaraderie with my fellow officials. What did you like least about officiating minor hockey? For minor hockey the least liked things would be the cold arenas and the long shifts. What was the best life lesson you learned from refereeing? To have honor and integrity. Where was your first NHL game? New York. I was at Madison Square Gardens for a Rangers game. What was your favorite NHL city and why? Whichever city I could go home to after a game. I didn’t really have a favorite city. Working my first NHL game. It was a great thrill to finally make it. No. I was pretty content. What life skills do you think those who officiate acquire? What advice can you give kids today who are starting out as young referees? Always work hard. You never know who is watching you. Learn as much as you can from others and do as much hockey as you can to gain experience. What is the best advice you can pass along to parents on how to approach situations in which they disagree with officials? Recognize that the referee is the only unbiased person in the rink, and they are doing what they think is best for the game and the participant’s safety. There is also a big difference when your own child is involved in the game. Thanks to Dean Warren for his time! We’ve had Face to Face chats with all sorts of cool people! See all of the interviews.